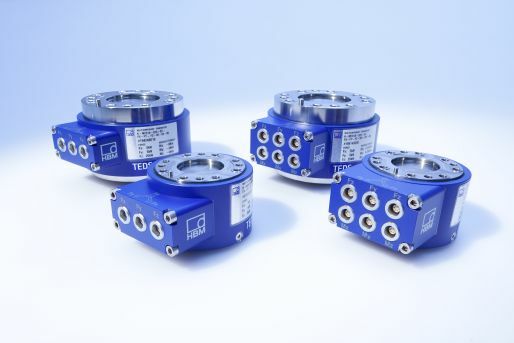 Up to six forces and torques on three axes (x, y, z) can be measured in combination with the MCS10 multi-axis sensor. This means that the MCS10 is ideally suited for mechanical engineering usage, in test benches, and also in research and development. It returns a three-dimensional image of the measurement set-up with a maximum precision up to accuracy class 0.1. Thanks to the MCS10’s innovative construction with flange, it achieves the best measurements possible. Thanks to TEDS technology the installed data acquisition unit automatically detects the MCS10. This ensures that it is ready for immediate use without extensive parameterization. All the transducer’s measurement axis can be configured independently of each other. HBM has combined the experience from numerous custom-made special transducers in the MCS10, while adding a standard product’s reliability and flexibility; for a series production product that is immediately available and quality-tested.